1. It is not optional. Weird ideas fill a void. If you don't have a photo, then viewers of your profile will use their imaginations to create their own image of you. Leaving people to their imaginations usually is not in your favor. You will inevitably disappoint in person. 2. About disappointing in person, use a realistic image of you that is relatively current. Over ten years? Hair dyed a new color or fell out? Gained or lost 40 pounds? It is time for a new photo as you will most definitely shock in an in-person meeting. This is definitely a "what you see is what you get" situation. 3. Dress appropriately for the audience and the business demographic you are targeting. If you are looking for business or a job in tech then dressing in a formal dark suit and red silk tie might be off-putting when the business dress code for the company is yoga pants, jeans, and hemp shirts. This is probably the most important tip as to how you are dressed creates a first impression that is hard to erase. Plus, take off your tint-adjusting glasses when outdoors. 4. The setting and pose is a question of relevance. If you are in law enforcement, outdoor sports, or any risky business then a skydiving shot of you at 9,000' might be a great pose . In chartered accounting, banking, brain surgery, maybe not so much. Same could be said for the really cute pose taken at Burning Man or Coachella. Keep your personal life off Linkedin. 5. Look forward at the viewer or towards the center of the screen. This is crucially important now that Linkedin has moved photos to the left side of the screen as you view it. If your body and head are facing out to the left as well, the portrait image creates an unconscious psychological dissonance with the rest of the layout. 6. In the same vein, the background color and view can add or detract. An all white background ranks higher than the ubiquitous corporate photo gray or worse Hollywood black. White is young, edgy and won't fight with your Linkedin background banner that hopefully, you have customized (a topic of another article). 7. Finally, look happy...not cool, inviting, engaging, business-like, professional, or a leader (whatever that is), Just be happy when the shutter snaps. Happiness is contagious and welcoming to everyone. ​Trust in the portrait-making process,and hire a professional photographer, not your wife or partner. Pick a decent background and outfit. Don't worry, be happy.. I have found when it comes to following a career path or doing a job hunt, most people can tell you what they do and even how they do it with lots of hyperbole thrown in. But, they don't know who they are. Sometimes the essence of a person will come through in their behavior and personality if a good recruiter is asking questions. Most fo the time, no. People have gotten good at putting on their "social media" front. This is why hiring continues to be so problematic and why recruitment tools and consultants continue to make lots of money. Companies don't know who they are hiring, and the person doesn't really know if they fit or not in the company culture. Most of the time people settle for trying to fit in and companies keep spending money on soft skills training. If I was going to give one piece of career-lasting advice, it would be to know yourself and work hard at that as an ongoing project. And then you can present yourself authentically and consistently to everyone. I review and rewrite resumes every day. It’s fun and similar to taking a diamond in the rough and polishing it to reveal the inner brilliance and it is the same with a person’s career. Over the years, I have noticed that too often resumes fall short of adequately presenting a person’s brilliance. People seem to write their resume as either a list of competencies or accomplishments but rarely as achievements. What’s the difference, especially between the last two? A lot. It is enough to make the difference in gaining an interview or a recruiter's attention. At worst, a professional is inadequately branded and doesn't show their best potential. You tell me which category does your resume fall into? Technical people tend to list bullets of competencies either hardware, software, tools, techniques, or applications. This is true of all types of engineers, accountants, doctors and other health care practitioners, film/video/audio engineers and producers, as well as programmers, oil and gas and manufacturing types. It is so easy to write lists of competencies for these specialties. It is natural to itemize the tools, methodologies, procedures, and techniques in these fields. Anytime you have a list of things you have mastered and know how to apply and use, then a competency-driven resume is the result. They aren’t bad but simply incomplete as they tend to be strings of words without being attached to a task or action with a beginning and end e.g. an accomplishment. You don't stand out with a list that can be checked off. A short reach beyond a list of competencies is a list of accomplishments. Most seasoned professionals can do resumes like this with ease. They tend to be historically written in reverse chronology. Accomplishment bullets are set in time with a beginning and end of a task, job or project. These bullets are complete sentences that start with action verbs such as designed, delivered, sold, produced, wrote, managed, etc. Of course there are thousands of action verbs as there are tasks to complete, jobs to do, and projects to finish. Some professionals are so adept at delineating and capturing every action and task throughout the course of their job that the bullets trail down the page overwhelmingly. Accomplishments can be simple or very demanding being completed in a short time-span or over a long period. For example, conducting and completing clinical trials for a new drug can take months to accomplish. This type of resume may be sufficient for an entry level position or an individual contributor. It is not sufficient if you seek more responsible roles that entail leadership, decision-making, and responsibility as it lacks achievement. Challenging and prestigious are often words used to describe achievements. Achievement implies reaching goals. The difference between accomplishment and achievement is subtle but distinct. For example, completing a series of clinical drug trials is an accomplishment of a project or task. Completing those trials in a way that expedited the drug’s successful approval by the FDA for commercial distribution that will grow the company’s profits is an achievement. An achievement statement on a resume is quantified in some way by demonstrating data, naming names, and using words such as increasing, decreasing, growing, expanding, approving, containing, innovating, improving, succeeding, etc. Turning accomplishments into achievements ties the efforts of tasks and projects into overarching results that impact the organization. Writing a resume that ties your contributions to the greater good of the company is integral to building a professional brand and growing your career. You incrementally grow your reputation one achievement at a time. I was thinking about a potential client's request to see samples of professional websites that I have done. They thought that building their brand was as easy as copying a site of someone one in the same profession. I guess that's half true. Nowadays, anybody can build a website for free as exampled by a 10 year old using Weebly http://addiesrainforest.weebly.com/. Wix, webstarter, Yolo, Squarespace can also do the job. Of the 100+ websites I have done for professionals since 2009, My fee was never for the actual building of website, though it was included with the end product. Actually, the need was for unique branded content that put them on the cyberweb in the most favorable light. This is the crux of Web 2.0 and online personal branding that has someone wanting to talk to me. Today, a faxed, mailed, or emailed resume is the mere beginning of a brand, and cannot begin to address personal branding. Linkedin and social media have been the game changers in the past 10 years. The Internet has birthed online branding as a complimentary adjunct to a networked job search. This has challenged everybody, especially executives, in today’s global economy to step up their game and tell a good story. A good brand combined with a solid network are the real job security across companies, borders, and industries. How many articles, webinars, and eBooks are out there now on personal branding? Fortunes have been made telling you what to do. But, what to do is not how to do it. Content and telling a good story is strictly personal. Looking at other people’s self-marketing won’t help you determine and create your own unique value proposition that articulates solutions to re-position or better position you in the marketplace. 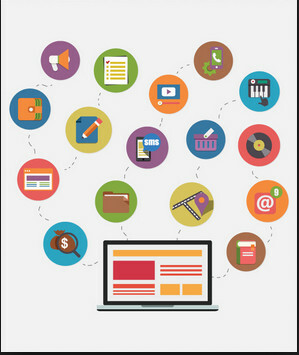 A well done, integrated brand tells your story in an engaging and appropriate way across digital platforms. Thus, your website's solutions page echoes your accomplishments on your resume and longer story on Linkedin, and they all are further elaborated on in your blog postings. It is a orchestrated effort to build thought leadership, make you stand-out, and be differentiated from others seeking the same opportunities. Bottom-line, why should you be considered? Your brand tells that story. This sophisticated positioning and personal branding is where a good career coach should be able to help you build and tell your story, and it is why executives seek my services. I help you to develop your branded content across platforms, and rebrand yourself to vie for new opportunities. And, you can’t afford to not get it right the first time. There are no second first-impressions on the Internet. Data is misleading because a person's Linkedin posts are announced to their direct connections when posted. Connected to 234 people? 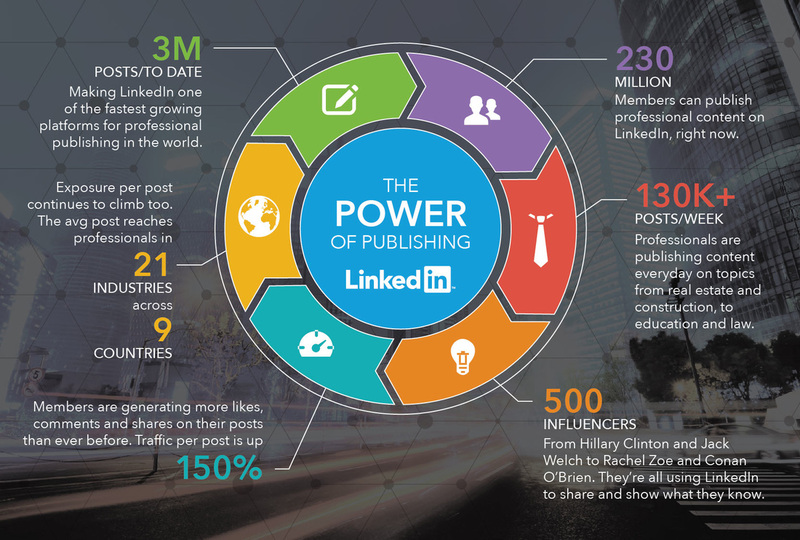 They are the ones alerted to your posting despite the impressive percentages in the Linkedin's infographic below. A career blog under your first and last name URL (like mine, see above) will rise to the top of a name search on Google thanks to its algorithm setup. Anybody can see your blog with no restrictions to access by degrees of separation or login. Having your own blog enables topic and content control. Blog tags and categories curate your content to make it accessible by search and coherent by topic. Linkedin posts are listed in order by date generating randomly accessed unorganized topics with no search capability. Over the years curated content in your career blog becomes an essential compendium of your thought leadership and business philosophy. You own the content on your own blog (by the way, it is a good idea to download all your connections and content from Linkedin quarterly). It is far easier to email someone a link to your career blog than your Linkedin post because nobody has to log into your site. Bottom line, this is not an either or proposition but a prioritization. Your career blog presents you to the world with searchable topics, and a customized the look to fit your brand. You can always put a link on your blog to Linkedin. You have s,omething to say, but finding the right platform for your content is as important as what you have to say. If you’re a professional with a valuable perspective to share, you have to find the audience it will resonate with – the audience you can invite along for the ride. It’s that perspective that makes you unique – and that ability to spark conversation among your peers that can take you far. Just as you bring it to the table each day to work for your company, your platform can and should be working for you. But it doesn’t stop there–you can also see what impact you’re having. Once you’ve published on LinkedIn, check out your post analytics to see who read, shared, or commented on your post, plus important insights on the industries and regions your readers come from, their level of seniority, and how they found you. Leverage those insights to help tailor your message, share it with your network, and let the power of LinkedIn and your network get your content in front of the people that actually matter to you most. Last year, Linkedin opened up postings to the general membership. Prior to that time only Influencers (famous people, leaders in their field) designated by Linkedin were allowed to write those short, pithy articles that accumulated and archived on their profile pages. The rest of us had been relegated to ephemeral Linkedin Updates that disappeared into the news thread once posted. In July of 2014, the little pen icon appeared on the update box, and intrepid trail blazers began posting on their Linkedin Profiles. What is a post exactly? On Linkedin, a posting is short article, essay, or observation on a topic of your choice with an accompanying image. The posting image along with an attention-getting title are important because your posts will be displayed on your profile by image and title as well as sent to all your first degree connections. Further, if you have written an interesting post that attracts Linkedin’s attention, they may choose it for redistribution to millions of Pulse subscribers, the site’s in-house news magazine. What you have to say might just be the differentiator for success depending upon your career goals and employment circumstances. Aside from writing posts because they attract attention to your profile and raise your visibility on the site, there are three compelling career motivators to do it as well. Build and demonstrate your knowledge and expertise in your current business sector and professional field. Anything you do outside your company will reflect back positively inside your company. Writing on your observations, insights, and unique perspective improves your stature in your field. Your post’s topics can open doors to consulting opportunities, creates visibility for potential board positions, and generates invitations to speak at conferences. You can position yourself as the go-to expert for media interviews. This all becomes a virtuous circle that continues to build on your reputation within your field or business sector. Making a career transition to a new industry more often than not requires some background in the new sector. That experience is the unspoken key criteria in a recruiter’s search that could be the deal breaker when it comes down to the choice between you and another candidate for a position. Hands-on experience is not always easy to come by up front, but postings helps build the bridge to the new industry or sector. Write about where you want to be not where you are. Write about the companies that you have targeted for employment. Yes, it takes some research and digging, but then you will be better prepared for interviewing. You will have demonstrated your knowledge up front, and established your credibility in advance by easily accessible postings on your Linkedin profile. Writing on topics that are gaps in your knowledge or experience can move you past objections for a promotion and enable a career move. Rejection for employment and promotion typically lies in a skills or experience gap that doesn’t enable a complete “fit”. The bigger the company the less likely they are to overlook that. For example, you may have a solid background in retail marketing for bricks and mortar entities but no experience in e-commerce. Or, you have been a CIO for a very traditional company who had no need to use big data, data analytics, and social media in their business. Whatever the gap, the missing hands-on experience can be supplemented by writing posts about various aspects of it. Rather than trying to sell your value proposition past that gap objection during an interview, write about it in advance to leverage your credibility. Since 2008, Linkedin has gained critical mass with now over 1/3 of a billion members. It is the 800 pound gorilla in the job search room. What it decides to do in terms of their profile presentation, content and style drives the modern-day professional’s career marketing and branding initiatives. This is not to be trifled with as hiring decisions are rarely made now without at least a glance or even longer review of your profile. Worrying about privacy and jeopardizing your current employment status should be a non-issue now. The loss of momentum in your personal marketing out- weights your employer’s critical judgement. Once you have a robust profile in place, as your career progresses it is easy to use it to enhance and facilitate your success. Selling a service is like selling heroin...you need to get your customers rapturously hooked. Linkedin is the consummate example of this. When you think of your job search and how you present yourself, are you offering engagement with a set of services or are you presenting you, the product? Seems to me that the more valuable course would be to present services to a company that they can partake of through a free advisor role, short term immediate consulting, or a longer term engagement. Thinking not about you the candidate to be hired as a product frees you to creatively present scenarios where engagement is win win for both you and the company. As digital devices, cloud computing, and smart phone apps permeate more and more of our interactions, the product-service shift is overtaking more and more of our economy. This is a good thing from the point of view of lowering barriers to adoption and delivery costs, but it is a real challenge for vendors to transform their operating models to leverage the new infrastructure. A big part of the problem is simply getting our heads around the new paradigm. So much of the language of business is stuck in the old vocabulary, and that is causing us to make wrong choices without even knowing it. Let me show you what I mean. 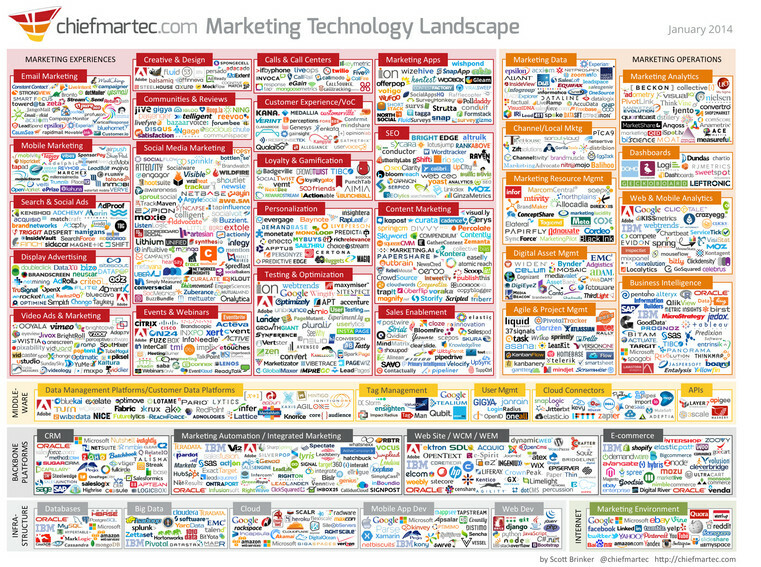 Take the combined notions of product marketing and product management. In a product company, although we often argue whose job it is to do what, we know overall what scope of work is involved. You have to spec out a set of features customers want, work with engineering to get them built into the product, work with marketing to get the product promoted, work with sales to get it sold, and work with customer support to get it serviced (and to collect a set of enhancement request for the next spec). But that is not at all how a service business works. Service customers don’t want features, they want outcomes. They don’t trust marketing that is outside the service experience; they expect to learn, try, and buy from inside the service delivery envelope. They don’t expect to be sold to, nor do they expect to use customer support unless somehow the service fails to deliver, which is more likely simply to cause them to churn out. So product marketing and management now equates to creating a completely contained environment within which both the prospective customer and the service vendor can experiment with each other across a digital interface to see if they have something of value to exchange. In this model there are no product releases. That is an obsolete notion that radically disrupts the low-latency give and take of a digital service engagement. Instead, the rhythm of that engagement is set by the spinning of four gears—Engage, Acquire, Enlist, and Monetize—all of which happen inside the service envelope. That means that engineering has to design and build the marketing directly into the service infrastructure, including whatever branding is needed. And the whole thing has to be built to evolve as A/B testing teaches us all what’s to, or not to, like. And that brings us to the freemium business model, in which there are no free trials because that concept implies that, if you like the trial, you will buy the product. That is not how a service model works. If you like the product, you will continue to engage with it, for free! Only after you have engaged deeply enough to be interested in a greater level of service can monetization be introduced. Here again the product mentality creates the wrong mindset. Product thinking says withhold the really valuable features, or give people a thirty day window, or do some other semi-coercive tactic to give you leverage in a purchase negotiation. These are dumb moves in the world of digital services, where losing the lifeline of user engagement costs you much more than continuing to support free. You have to learn how to woo rather than to bargain. And when it comes to purchasing, we think we want consumers to sign a license agreement, but that is a product concept designed to put power into the hands of the product vendor. What we want service customers to do instead is activate an account, something that keeps the power in their hands while creating a medium by which they can indeed spend money with us. The verb here is activate, not install, and our customer servicer outreach has to be structured accordingly. Similarly, when it comes to training, there can be no training. That is a product concept. Instead we need to orchestrate an onboarding process, one in which the user is guided through an experience instead of explained the intricacies of an interface. That’s why the hot new job title is called user experience design, no longer user interface design. And so it goes. All language is metaphorical to some degree. It is amazing how little it takes to put you in jail. Everywhere you turn it seems the legacy of a product-anchored vocabulary is insinuating itself into our thinking, leading us to make choices which are at best irrelevant and at worse self-defeating. So let me encourage you to engage your team in a language acid bath experiment, the goal of which is to root out as many product-centric phrases as you can and subject each one to a ruthless analysis of its implications, and then find a substitute phrase that will get everyone onto the right track. I think you will be shocked by what you find. Either way, I hope you report back. Though the Forbes article quoted below was first published in 2012, the continued onslaught of C titles has invited a re-examination of the new corporate power structure based on rank. I think we do have a flattened pyramid of corporate hierarchy compared to the by-gone days of the last century's elite few at the top. With so many c-level titles, you can take a long walk on the high "mesa" of the executive circle before reaching the edge. Scott Brinker's marketing technology blog is a wealth of information and data on all the tools related to marketing and sheds light on the newest C-level job creation, the Chief Marketing Technology Officer. Read the blog and find out more. Maybe your next career move would be in this direction. It's that time again! Mary Meeker talks to the Internet Oracle. It must be big news as last year had 117 slides and now she is up to 164. Good promotion for Linkedin who bought Slideshare where this is posted. 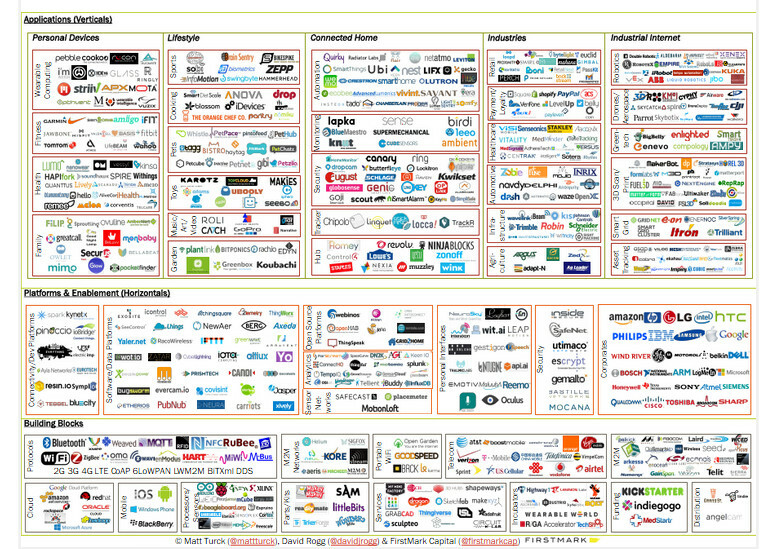 Reid Hoffman has called these highly robust, rich, detailed slideshows "visual executive summaries". I like to call them, "finally, a readable and interesting white paper"